Most people who live in Jenkintown will tell you they love living here, but they won’t tell you that taxes are reasonable. Most I’ve spoken with will express a sentiment along the lines of “they’re already too high”, especially when we start talking about paying for sidewalks. The question then becomes, do we get good value for our money? The heavy Jenkintown tax burden might not pay for sidewalks, but it does fund one of the highest rated school systems in Pennsylvania. We have a right to be proud of that achievement, but a quick look at the raw numbers might have you wonder if the cost of that ranking exceeds the value it returns. As a former Massachusetts resident, I can’t help but draw comparisons. I grew up during a time when the state both rebounded from its economic doldrums, becoming the “Massachusetts Miracle”, while also becoming “Taxachusetts”. Any time a fee or tax is raised, even by a tiny bit, you can bet some group will haul out that moniker to fight it. No one wants to see taxes go up, and rarely do they ever seem to go down, but frankly, my former state provides a fair comparison. Northeastern, former industrial powerhouse, historic, and voting largely blue — at least nationally. What does the Massachusetts resident get for their money compared to Pennsylvania? State-wide averages simply won’t work here. Our state has a vast swath otherwise known as “Pennsyltucky”, where few of us would choose to move. Local governments there provide many fewer services. For the curious, Massachusetts residents may pay a little more in taxes overall, but they also make more income. The U.S. Census averaged five years between 2009 and 2013, and Massachusetts residents earned $3100 more than Pennsylvania residents on a per capita basis. If you live in Jenkintown and wanted to move to a similar town in Massachusetts, where would you go? For its equivalent cultural and transportation assets, you’d pick metro Boston. Unfortunately for you, that means buying a home in the sixth hottest real estate market in the country. Philadelphia doesn’t crack the top 20. No doubt about it — you will pay more to live in a similar inner-ring suburb. 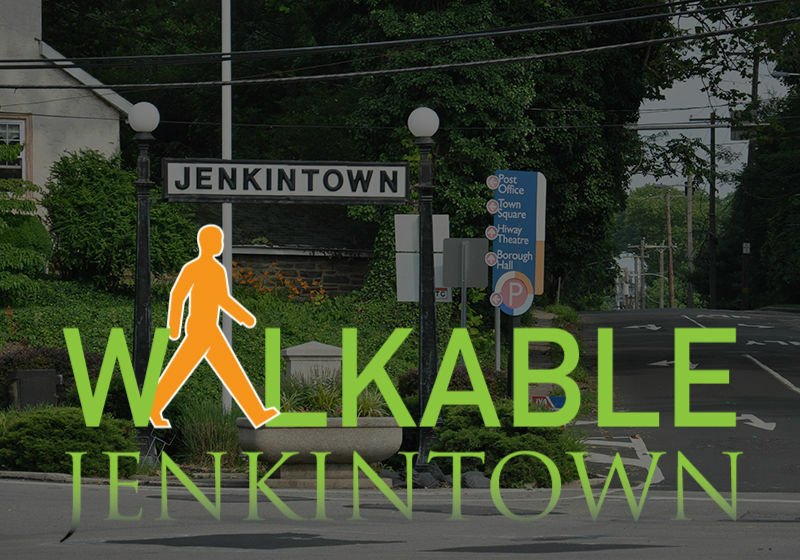 Of all those towns, I’d pick Watertown or Arlington because these towns share many of Jenkintown’s best features: transportation hubs, (more) vibrant downtowns, similar densities and housing stock, and good school systems. A house like mine in either town would sell for roughly 2.5 times the price in Jenkintown, but I’d still pay the same or lower property tax amounts. For my money, besides a good school system, I not only get trash pickup, but sidewalks and curbs come as part of the package. Of those two towns, Arlington has the better school district, ranking 44 out of 334. But here’s the rub: They spend less than half per pupil. Jenkintown spends over $22,000 per pupil while Arlington spends $10,500. Take all that for what it’s worth, but we all know that Jenkintown’s tiny economy of scale means millions of extra dollars go just to support overhead. For $22,000, they could at least spring for pens and pencils! I don’t intend to disparage our schools. My daughter appears to be getting a very good education, and we all like her teachers and the administration. My sister and mother were both teachers, so I understand the hard work these people do on behalf of our kids. However, I have too much respect for money to see it wasted. At some point, the returns diminish and make that high cost-per-pupil number nothing to be proud of. Can’t we do any better?